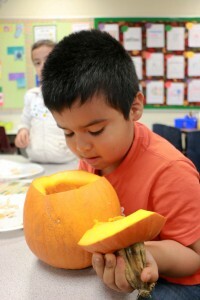 Waterford students experience academic and social learning through a variety of hands-on and content-rich opportunities. Our curriculum is anchored to the essential learnings of all content areas (language arts, math, science, and social studies) and allows for balanced and enriching activities that build intellect, foster curiosity, demonstrate mastery, and are applicable in real-world situations. As with all Goshen Community Schools, Waterford emphasizes literacy and math and provides additional programs that help students succeed. Check out what we have to offer! The Dual Language Two-Way Immersion Program at Waterford Elementary School provides kindergarten students with the opportunity to begin the journey toward bilingualism, biliteracy, and biculturalism, in English and Spanish. The Dual Language Two-Way Immersion Program serves both native English speakers and native Spanish speakers, with each language serving as a model for the other. We use the 50/50 model with two teachers. One teacher instructs exclusively in Spanish for half of the day, and the other teacher instructs exclusively in English the other half of the day. There are five essential components of any effective reading instruction program: phonemic awareness, phonics, fluency, vocabulary, and comprehension. GCS adopted Journeys curriculum, a K-6 program with rigorous Common-Core design that meets all of these components. In addition, Journeys contains digital learning tools teachers can use on our mobile technology to make lessons more interactive for our students. This curriculum also provides differentiation to meet the learning needs of each student one-on-one, or in large and small group settings. Students receive whole group and small group reading instruction and are also expected to read leveled books independently to become more fluent readers. The Indiana College and Career Readiness standards provide a rigorous set of content and process standards that help students develop powerful ways of reasoning and thinking about mathematics. Expressions is the corporation resource used to provide a framework for these standards. GCS students in grades K-5 are introduced to a variety of musical concepts, with emphasis on three learning targets: performing music, creating music, and responding to music. Students meet more specific learning targets within each of these broad categories through the use of the voice, instruments, and movement. At Waterford, our music teacher helps students meet the performance standards through the use of percussion and Orff instruments (xylophones, metallophones, and glockenspiels), drumming, and singing. Students experience the creation standard through improvisation on xylophones, as well as composing rhythms and simple melodies or accompaniments for Orff instruments, drums, or voice. Students respond to music by participating in creative movement (in response to musical form or other musical concepts), folk dance, iconic notation (using symbols or pictures to notate music), traditional notation, and analytical discussions about music that they have created or heard. This combination of experiences prepares students for future musical endeavors by building musical skills, and it is hoped that a love of music, and joy for creating and performing, are also instilled. This year students will be working with many different media in the art room, including markers, crayons, paint, clay, and plaster. While all the materials we use are washable, please help your child choose his or her clothing carefully on art days. Avoiding white would be best! At Waterford, teachers use observation inventories and planned experiences to monitor the high ability potential of all students throughout the year. Identified high ability students are clustered together in classrooms and are challenged to achieve and deepen their thinking. 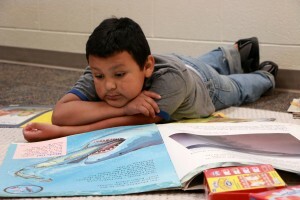 Success time provides opportunities for high ability students to accelerate their learning in math and reading skills. High ability instructional resources are available to teachers to use for their students, and corporation-wide family game nights are held in the winter for identified students and other students showing high-ability potential. For more information about the GCS High ability program, please visit https://www.goshenschools.org/academics/ha-program. 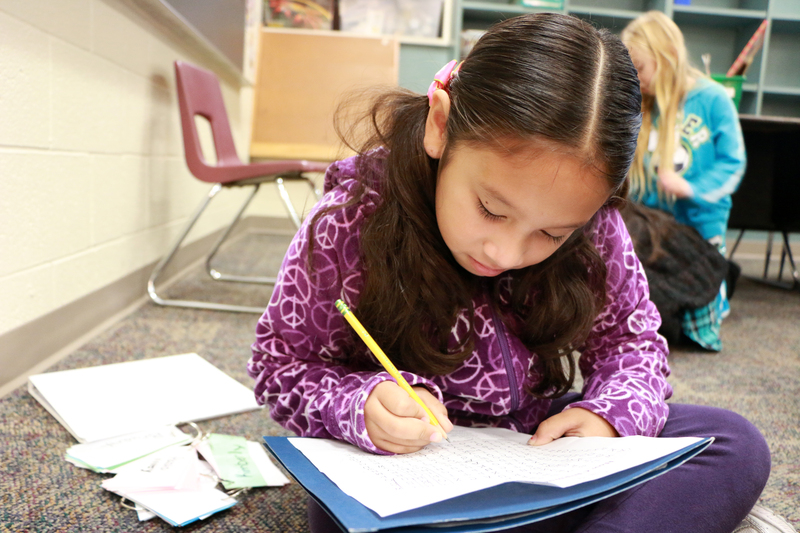 Goshen Community Schools employs technology to improve instruction at all levels. We continue to seek affordable and effective opportunities to infuse technology in the learning process to ensure our students receive relevant and timely instruction. All students are issued an iPad in our district wide 1:1 program. Every classroom at Waterford is outfitted with a mounted LCD projector, allowing teachers to utilize the vast resources of the internet to create dynamic and engaging lessons. Waterford’s professional team of EL Teachers services the language needs of almost 200 English language Learners. The students receive a variety of supports ranging from pull-out oral language instruction to content-specific inclusion support. In its commitment to student success, Waterford provides academic assistance by providing tutoring services from current and former Goshen Community School teachers. During the second semester, high school students from Bethany Christian volunteer 1-2 hours per week helping students in several classrooms. A list of our current tutors is available to parents upon request. Please contact our school guidance counselor for more information. The Waterford library is committed to helping students and staff by providing opportunities and resources for information, education, culture, and recreation through books and library services. The library assists the PTO in hosting the Scholastic Book Fairs twice a year. Goshen Community Schools uses Follett Destiny Software to manage the district library resources. Parents and students can access the website to research what literature and media resources are available. To access this service, click here destiny.goshenschools.org, then click on ‘Waterford Elementary School’ to see if the book you are looking for is available.